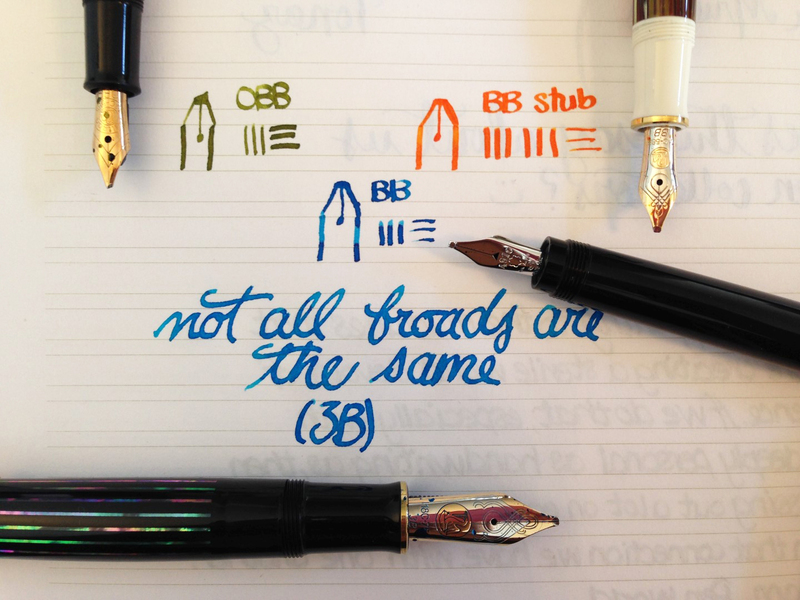 Oblique, stub, round… broad nibs are not always just giant nibs that can’t be written with! I suppose that depends on your handwriting, but oblique double broad nibs, or stubby double broads can be a lot of fun to write with and can make your handwriting look very interesting and fun. The amount of tipping that is often found on broader nibs often makes them very suitable for nib modification, should you wish to have this done. The line variation is a lot of fun, whether it’s a stiff nib or a flexible nib! I know a lot of people don’t like broad nibs as much as I do, but for me, it’s hard to beat. This entry was posted in Vintage Pens and tagged Handwritten Post, Montblanc, Nibs, Pelikan. Bookmark the permalink. Follow any comments here with the RSS feed for this post. Post a comment or leave a trackback: Trackback URL.